During the summer season, the rise in the temperature can create many problems on the road. Most vehicles are prone to overheating, particularly during the hot summer months. You can avoid being stuck in a hot situation if you properly care for your engine. The radiator is one of the most important components of engine related to overheating. It is essential for keeping your vehicle running in extreme weather conditions. Most overheating issues are a direct result of the radiator being damaged or blocked. Make sure that you have your radiator checked whenever you take your vehicle in for service. Adding antifreeze is an important part of the service. Antifreeze is just as important in summer as it is in winter. It prevents overheating by raising the boiling point of the water in the cooling system. That’s why it is recommended that you check level of antifreeze in your vehicle’s radiator and top it off if required. Flushing the cooling system is very important and it doesn’t cost much. Metal particles, rust, residue, etc. clog up the car’s system over time and reduce its effectiveness. If the cooling system of your vehicle is compromised, it can lead to engine overheating, total engine failure, or very expensive repairs. 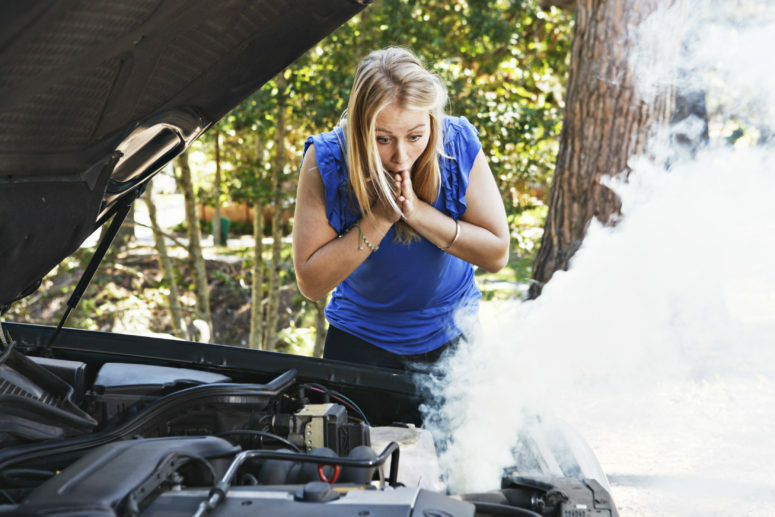 According to statistics, summer has the highest number of vehicle breakdowns mainly because of engine overheating. High speed and hot air can badly impact your vehicle’s engine. Traffic jams can also cause engine overheating. To prevent engine breakdown, it is recommended that you make sure that your vehicle’s air conditioning system is working at peak capacity. It is highly recommended that you take your vehicle for air con services. These services include air con recharge and replacement of damaged or worn out parts. It is also recommended that you get your vehicle fully serviced before going on a summer road trip. The engine of your vehicle is prone to a number of problems, including worn out parts such as fittings and hoses. Replacing engine fittings and hoses are an essential part in making sure that your vehicle can take the summer heat. When you are driving around during the hot summer months, your vehicle’s engine can reach exceedingly high temperatures. In fact, some types of engines can run at temperatures higher than 93° C (200° F). But if certain parts of the engine are worn out, then they may be unable to withstand the high temperature and pressure generated within the engine, which could lead to engine failure. Replacing such parts at the right time will allow you to avoid very costly repairs. All in all, basic vehicle servicing is essential to making sure that your vehicle survives the summer heat. Furthermore, it is relatively less costly than dealing with any blown engine parts that may result in engine overheating or breakdown. Robert Young’s has been serving the roadside and vehicle transporting needs of Southwest Virginia for more than 30 years. With locations in Roanoke, Troutville, Buchanan, Natural Bridge, Rocky Mount, Bedford, Salem and Christiansburg, and a fleet of over 30 tow trucks, Robert Young’s is able to handle every roadside service challenge and meet every towing need. Offering light duty towing, medium duty towing, heavy duty towing, specialized trailer transport, and private party impound, one or more of our tow vehicles are always out on the road providing quality service to both individual and commercial customers somewhere in Southwest Virginia. Readily available 24/7/365, contact Robert Young’s to get a truck dispatched to your location either now, or at a planned time of your choosing. Reach us online, or call us now at (540) 982-3809! PrevThe 6 Most Dangerous Times To Drive. NextAre You Prepared For A Breakdown?